My Grandfather started selling Allis-Chalmers on his farm in 1929. He moved to the town of Mallard, Iowa in about 1942 and to a 2nd location in 1945. He sold hardware and Matag appliances as well as AC farm equipment. He built a new building in 1947 because he had a fire that destroyed that building. He died in 1965 and my Uncle Elmer managed the store until they closed it in 1969. My father Edwin Reinders bought an AC dealership in 1951 in Ruthven, Iowa, about 22 miles from Mallard. My mother Annabelle did the bookeeping for my dad until 1975 when she had to quit for health reasons. My brother Ed came into the business after serving 2 years in the US Army in 1964. I (Allan Reinders) came into the business in 1978. Previous to that I managed a Firestone Store in downtown Topeka, Kansas. My father died in 1982 and my brother Ed and I ran the business until 1987 when we bought a 2nd store in Estherville, Iowa, about 22 miles North of Ruthven. In 1997 we sold the Ruthven store to Greg Petersen, our mechanic. Ed left to go into teaching because of a conflict with the regional sales manager at AGCO. I am now the manager of the Estherville store. I own 50% of the shares and am buying out the 50% shares that my brother owns. I have several contracts of AGCO which include AGCO-Allis, Gleaner, AGCO St Compacts, White, White New Idea, Glencoe, Farmhand, and Tye. I also have had the Belarus tractor contract since 1993. I have sold over 50 of these tractors because of the tight farm economy. I also carry several short lines which you can see on my web page (www.reindersfarmequipment.com) I plan to run the store for a few more years and then plan to sell to my employees if they want to buy it or sell it to an other AGCO dealership. I encouraged my two boys to go into other careers because AGCO is forcing dealers to have multiple locations. My oldest boy, Brent, is an Aerospace Engineer and my youngest boy, Todd, is a Mechanical Engineer. It is now September,2004 and I have decided to retire and close out Reinders Farm Equipment this month. I am having an auction on September 18th,2004.After the sale I plan to go see the grand children with my wife Carol. We have the in Utah, Indiana,and Texas. Todd the youngest was just married 2 years ago in June and lives by Sayloville Lake near Des Moines, Iowa. He said he is not ready to start a family. 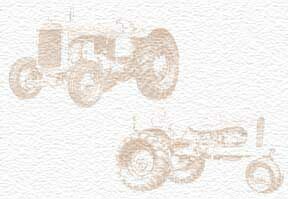 This history of Reinders Farm Equipment was written by Allan Reinders on May 3, 2001.